A friend recently asked me: How do you introduce yourself to people? I thought for a moment, and then asked: What do you mean? She said: When you introduce yourself to someone, do you say, “I’m a writer”? Chewing my lips for a moment longer, staring at a table, I said that I most probably would say: I work in a record shop. And I’ve recently published my debut novel. In that order. No mention of being a writer, just that I’ve published a book. I realised her point. Her husband agreed, saying: I introduce myself first as a marketing manager. And then that I play guitar and am a musician and an artist. The conversation continued, noting the errors of our introversion, by asking ourselves what defines us as people? Is it that we earn a living selling someone else’s recorded music or promoting a business, product or brand? Or are we creative, with a wish to entertain others? To enliven a person’s emotions and stimulate their minds? To inspire? It was a good point very well made. I thought more: So what qualifies me to introduce myself as a writer? Is having published a book enough? Question: So what qualifies me to write a novel about a black blues musician? Answer: Passion; knowledge; research; and more passion. It was the novel that I wanted to write. I knew my plot and structure would work; that it was a unique approach to a music-based novel. Selling music is what I do for a living, so why not a book based on music? That, to my knowledge, there was nothing like its subject on bookshelves. My editor wrote in his notes after editing: I haven’t ever read anything like it . . . Taken in the spirit that I hope his comments were intended: mission accomplished. If we were only to be inspired by the areas in which we live, Bob Dylan had Highway 61, I have the A21 – a dual carriageway running from the M25 to the Kent coast . . . I recently saw a young girl play a gig. She announced that she was returning to her hometown from university, where she was halfway through studying a degree in music. She had nice singing voice, was fairly accomplished on guitar . . . and every song that she played sounded like it was straight from a template on How to write a song like Ed Sheeran. So it’s a tried and tested formula, with the creator of the style achieving great success. But trying to replicate a sound that is being played out in every teenage singer’s bedroom is just to squeeze yourself into an overflowing food processor, where taste and style are blended to make the blandest of pies. Take Jimi Hendrix’s cover of ‘All Along The Watchtower’ as an opposite example of this, playing and singing some else’s story song, the same words and the same theme. Hendrix tears the song from Dylan’s storytelling point of view to live through the eyes of the protagonist, making it something desperate and despairing, wild, frenzied and emotional. And brilliant. We believe every word he screams as being his own story so much more than we could ever believe in a bittersweet love song that we’ve heard a thousand times before and yet still struggle to care for. I really hope that she finds her voice, but until then I’ll just switch off and daydream about being a bird flying over an endless ocean watching Simon Cowell swimming towards a shore that doesn’t exist. My somewhat extraneous point is this: doing a writing course, or any creative course, is all fine – should be encouraged even – but don’t allow it to lose your own vocality by trying to desperately fit into a genre or style of which you have little true passion. I like a little roughness around the edges, so long as it’s genuine and believable. If you believe in what you’re doing as an extension of what you care about, are passionate about, then we’ll believe in it too. And if we can read what you have written as a justifiable piece of art which you have created within the tone of your own voice, sharing the shape of your soul around creations that are uniquely yours – even if inspired by art, stories, songs or lives which have touched you – then we’ll decide that you are what you claim to be when you introduce yourself as a writer. 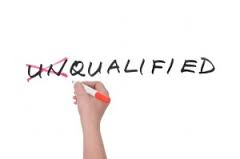 That you qualify. Really enjoyed your latest blog, Phill you have amazing wat with words. Great.